This past week has delivered a dizzying amount of activity around the next crucial entry in Warner Bros. and DC's shared movie universe, director Zack Snyder's Batman V Superman: Dawn of Justice. The movie's first full trailer was the main reveal, after a low-res version surfaced online and forced the studio's hand into an early reveal, ahead of a special IMAX viewing. While the trailer may arguably have inspired even more questions than answers (but contains plenty of Easter Eggs for fans of this universe), some set photos recently surfaced (and then vanished) which might hint at a major character's death. This reveal could tie into the possible inclusion of a major Batman villain, but of course nothing is confirmed. The first Batman V Superman trailer confirmed that the tone and themes of Man of Steel would be continued in Batman V Superman, and there are strong hints that the oft-criticized destruction of Metropolis during the last act of MoS will come back to haunt Superman (Henry Cavill). However, e've also heard that it's Superman who launches the first attack on Ben Affleck's Batman/Bruce Wayne. The main takeaway from all of this information is that the tone and feel of Batman V Superman will echo that of Man of Steel: a relatively grounded, "gritty" take on the superhero mythos, inspired by - and to a large degree dependant upon - the tone established by Christopher Nolan's Dark Knight films. This dark and brooding style has extended to much of the marketing material - until now. The distressed-media effect and inverted, clashing colors on these posters are a (welcome) departure from much of WB/DC's previous marketing material, which gave us our first looks at Batman and Gal Gadot's Wonder Woman in gloomy monochrome. The bright, striking primary colors - recalling plenty of past Pop Art-style marketing - and the swapping of each hero's logo against the other's features plays up Batman and Superman's rivalry. 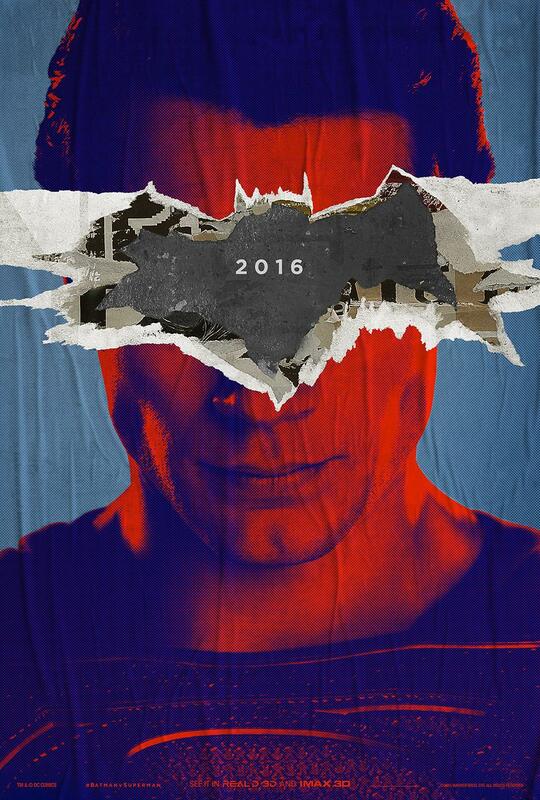 We firmly expect that the two iconic heroes will have settled their differences by (at least) the movie's halfway point, setting up the founding of the Justice League and focusing their energies on Lex Luthor, but these teaser posters may point to much more ire between Bats and Supes than we may have expected. Can we expect more marketing material along these same lines and in the same style? 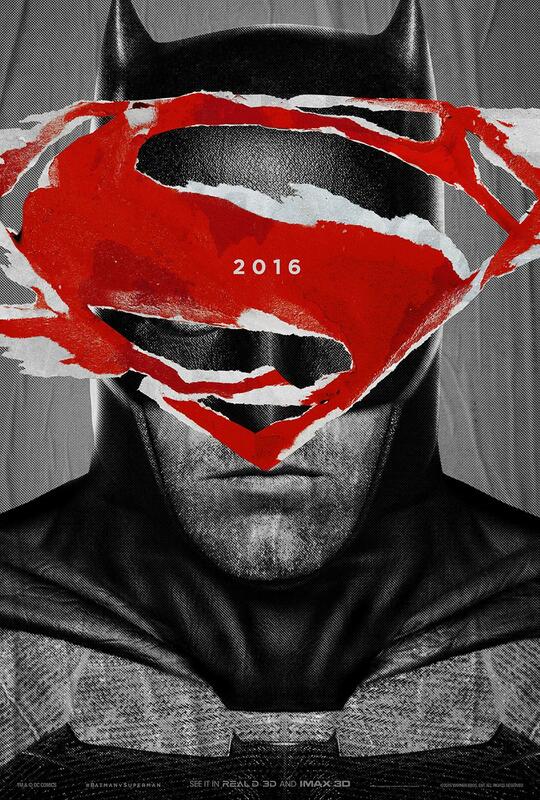 Batman V Superman: Dawn of Justice will be in theaters on March 25th, 2016.